I just have to say I love Caramel Apples! This is the time of year I always think of making them. When my kids were little they loved to make them with me. 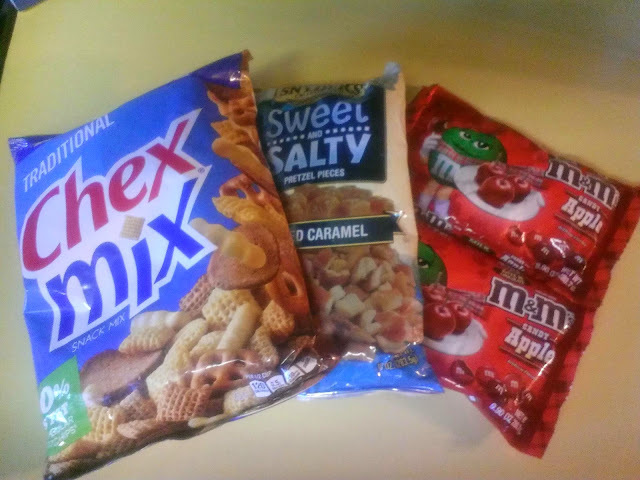 This Autumn I have been having fun trying new snack mixes that feature the Caramel Apple taste. 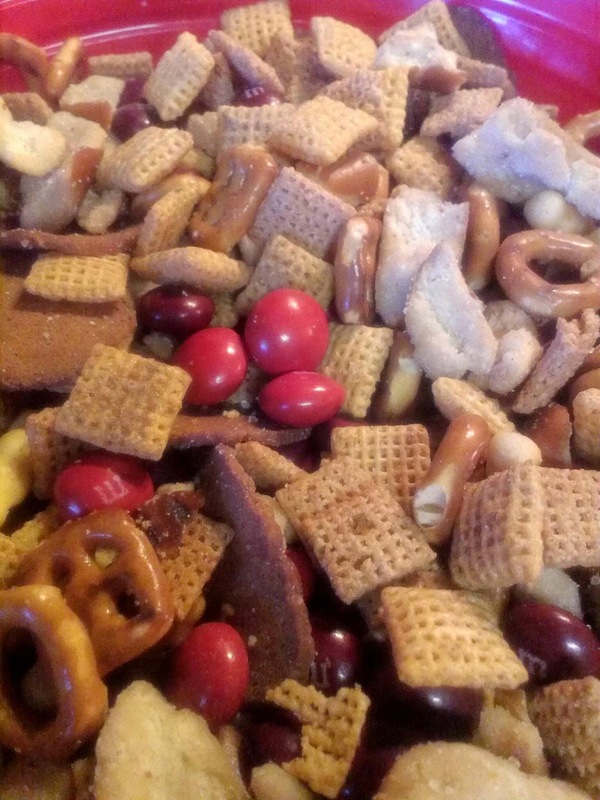 My friend Rachel, of Bubbly Nature Creations, had shared a snack mix recipe a couple of weeks ago that included the new candy apple flavor of M&Ms. (To see Rachel's recipe, click here: Bubbly Nature Creation's Caramel Apple Snack Mix )Until then, I had no idea they had that flavor! (I have since found out they also have a candy corn flavor M&M as well). In addition to Rachel's snack mix, last week for our prayer meeting, I created a simple "Salted Caramel Apple Mix" that unfortunately has me hooked! I typically only eat sugar on Friday or Saturdays. Today is Tuesday and I have already bought the ingredients to make this mix on Friday! (Yes, I will wait until Friday) I wanted to share this recipe with you and if you like Caramel Apples, I think you will really like this mix!